Please join the Pathfinder PTSA at a BeSmart Gun Safety presentation on Tuesday, March 19 at 6:30pm in the Pathfinder library. 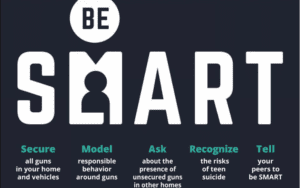 Led by Moms Demand Action for Gun Sense in America, the BeSmart campaign focuses on the importance of conversation, responsible gun storage and community awareness. The local BeSmart coordinator is none other than Freddie Campbell, a Pathfinder parent. And Tuesday’s presentation will be led by Pathfinder’s own Heidi Jaye. The presentation and discussion should take about an hour. Because of the sensitive topic, we ask that no children attend. We look forward to your participation in this important topic! For more information and class descriptions go to the website, or stop by the Pathfinder K-8 front desk for a paper catalog. It’s a job that is great for parents at our school who don’t have a full time job. It’s takes between 5-20 hours per week depending on the time of year, and between sessions there is minimal or no work to do. It pays $1200 per session and there are three sessions. See Maureen Clark at the front desk if you are interested or contact her at afterschoolprogram@pathfinderk8ptsa.org. 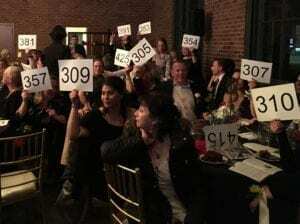 We’re counting the days until the 2019 Auction!! Class art is being finalized, prom dresses are waiting for corsages….ready for a night of fun??!! If you haven’t bought your tickets yet, there are still a few left and we hope you’ll join us! 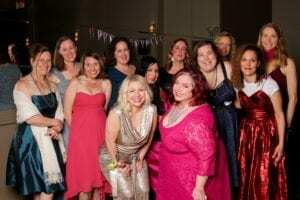 The Pathfinder Auction is always a great party — and this year, there’s even more as the festivities continue with dancing after the live auction! Last day to purchase a ticket is this Friday, March 1st so that we can give a final number to the caterers. BUY YOUR TICKETS NOW! We can always use more volunteers! Volunteers are needed day & evening on auction day. 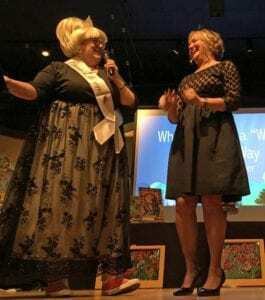 Evening volunteers will receive a volunteer meal and bidder number to join in the silent & live auctions (help out at the auction and you don’t need to buy a ticket!). SIGN UP TO VOLUNTEER! And we’ve extended the deadline to submit that fabulous someone for the Pathfinder “Where There’s a Will, There’s a Way” award. 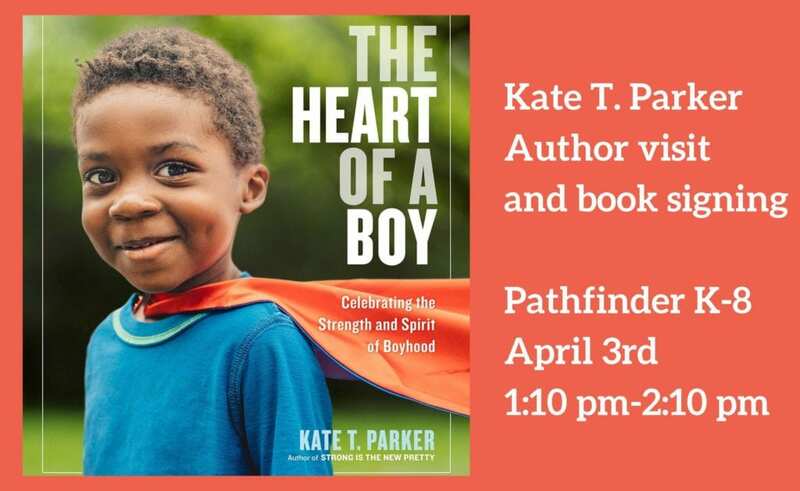 Each year the Pathfinder community honors a teacher, staff member or adult volunteer from the Pathfinder community who does an outstanding job of helping our children learn and develop, and does so in the spirit of Pathfinder. Pathfinder is full of great candidates! To nominate someone deserving, please submit their name and a brief explanation of why you think they should be honored using the APPLICATION HERE. Deadline for application is Monday, March 4th. Valentine’s Day Family Meet-up – All Welcome! Show your Pathfinder spirit and join other Pathfinder families at this fun Valentine’s Day meet-up! 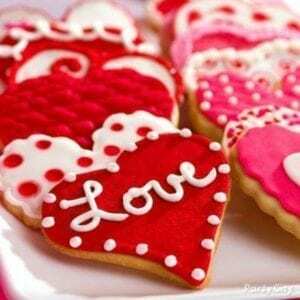 Stop by for a drink, a bite from the food truck and a Valentine’s Day cookie for the kiddos. Ten lucky winners will also get treated to a drink of their choice provided by Lisa Clayton and the Pathfinder PTSA! The tally of wreath tags is complete and the total is in! After expenses, this year we raised $12,042 for Pathfinder’s camping and outdoor education program. That was 483 wreaths made and sold over five weeks, the result of the hard work and dedication of our collective Pathfinder village. Thank you to everyone — and there are scores of you — who made and sold wreaths! How did wreath funds compare to last year? 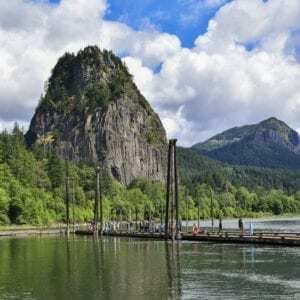 The Blue Herons try out fishing from the dock at Beacon Rock State Park on a spring camping trip. The quality of the wreaths was better. Our new wreath video made a big difference! For the first time, we offered a credit card option at the Farmers Markets and events. We got started earlier, allowing us to sell $500 of wreaths at Elders Lunch. How are wreath funds allocated? The cost of camping for all kids will be less this year because of everyone’s hard work. Every wreath sale defrays the cost of camping. But there is also a participation factor. Classrooms and grade bands with the most participation will see the lowest camping costs (and for a couple of classrooms, it is likely to be free). The wreath sales are allocated as follows: 40% of the price of a wreath goes to the maker’s classroom; 40% of the sales price goes to the seller; 10% is reserved for people who collect greens, make bows and clean the workshop; and 10% goes towards expenses. Generally, wreath funds go to individual classrooms in K/1, and are pooled and divided among the grade bands of 2/3, 4/5 and each middle school year. Which class raised the most funds this year? Drumroll, please! In what must be a first, the Seal Class, a Kindergarten classroom with just 16 students, raised an astounding $1,744. How did they do it? They got involved. One new parent tried making a wreath, found she LOVED it, and made and sold 40 wreaths! Another new parent organized the Farmers Markets. A third made dozens of bows. And their enthusiasm helped get other parents involved. Great work, everyone! We will see you next year in the wreath workshop for more creative fun that benefits our kids’ experiences at Pathfinder. Ballots are in the mail for an important vote to renew two school levies on February 12: the three-year Educational Programs and Operations Levy (EP&O) and is the six-year Building Excellence Capital Levy (BEX V). Both are critically important for operations at Pathfinder and other Seattle schools and endorsed by the Pathfinder PTSA. Neither levy is a new tax, but instead, they replace expiring levies to fund Seattle Public School’s most critical needs. What is the EP&O Levy? The EP&O Levy funds day-to-day school operations, instructional materials and textbooks, school staff salaries like nurses, custodians, librarians and counselors, and special education support and services. A detailed description of the levy can be found on the Seattle Public School’s website. There is currently a huge funding gap for these staff salaries and services. For instance, the state funds only 9 nurses for the district’s 53,000 students, but SPS employs 63 nurses with funds from this levy. Currently, Seattle Public Schools spends $140 million each year to support the more than 7,000 students who need special education services, but the state funds just $68 million. The remainder is made up with levy funds. It is safe to say that should the the EP&O levy not pass, there would be a devastating impact to Pathfinder’s ability to serve its students. Isn’t the state responsible for paying for these services? Yes, but the state has not provided enough funding to fully pay for salaries, special education services, and other basic education responsibilities leaving districts like Seattle in a bind. 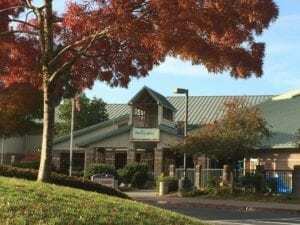 It also capped the amount of funds that SPS could tap from the current levy, leaving Seattle with a $50 million budget deficit going into next year. There are two things that need to happen to fix this funding mess. The EP&O levy must be renewed, and the Washington State Legislature needs to enact legislation to lift the levy cap and fund more of these basic services. >> You can help by voting on February 12 and attending the PTA’s Education Focus Day on February 19th in Olympia. 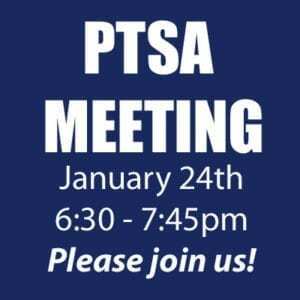 Please contact Pathfinder PTSA’s Legislative Chair Cecelia Lehmann at advocacy@pathfinderk8ptsa.org for more info. What is the BEX V Capital Levy? The BEX V Capital Levy renews a levy that provides new and healthier learning environments. It is also not a new tax, and unlike the EP&O levy, school facility funding is a local, not a state responsibility. This capital levy will add classrooms and remove portables, by replacing or modernizing eight aging schools and adding capacity at other schools. It will enhance safety and security by securing school entrances, fencing, earthquake safety and fire alarms. It will provide all schools equitable classroom technology and support for student learning. In West Seattle, Alki Elementary will receive a new building and West Seattle Elementary will get a new addition. Pathfinder will benefit with security upgrades. Read more details on the Seattle Public School website. There is also additional information from Seattle Public Schools about the levies hanging on the community bulletin board in the hallway across from the main office. 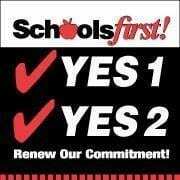 Read up and get out your friends, family and neighbors to vote to renew these levies on February 12. Your kids will thank you. Please join the Pathfinder PTSA on Thursday, January 24th, for our annual Auction Kick-off and the first chance to sign up for a whole host of exciting Group Events. You’ll be able to sign up on the spot, and one lucky person will win a door prize of a $40 credit toward the Group Event of their choice! We are also pleased to have JoLynn Burge, Asst. Superintendent for Business and Finance at Seattle Public Schools, join us to present information regarding the two levy renewals on the ballot February 12th. The first is the expiring three-year Educational Programs and Operations Levy; the second is the expiring six-year Building Excellence Capital Levy. Both are critically important for operations at Pathfinder and other Seattle schools (more below) and endorsed by the Pathfinder PTSA. 6:00 to 6:30: Gather and be the first to sign up for auction tickets and group events! 7:15 to 7:45: Auction Preview! 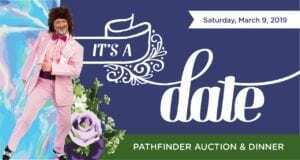 Pathfinder’s auction will be held on March 9, 2019 at the Hall at Fauntleroy. The season’s theme is Prom — It’s a Date! Tickets and Group Events will go on sale January 24th, so by coming to the meeting and signing up there, you will be the first to get your prom tickets and sign up for our popular Group Events! It’s going to be a blast! This is a challenging time for school funding elections. Support for school levies and bonds dropped considerably in neighboring districts a year ago because of confusion over state funding and the threat of higher property taxes. The state has NOT fully funded K-12 education in Washington State. The state’s so-called McCleary fix left Seattle with a $50 million budget deficit, which does not provide enough funding to fully pay for salaries, special education services and other basic education responsibilities. Neither of these levies are new taxes; they replace existing ones. The Educational Programs and Operations Levy funds nurses and librarians, counselors, special education, textbooks and materials, custodians and more. If this levy fails to pass, Pathfinder will almost certainly lose some of these positions and resources. The BEX V Levy renews a levy that provides new and safer learning environments. Pathfinder will benefit with security upgrades; other schools. Nearby West Seattle Elementary will be expanded and Alki Elementary is slated to be rebuilt. Many schools will receive technology improvements.